Item # 314596 Stash Points: 1,999 (?) This is the number of points you get in The Zumiez Stash for purchasing this item. Stash points are redeemable for exclusive rewards only available to Zumiez Stash members. To redeem your points check out the rewards catalog on thestash.zumiez.com. 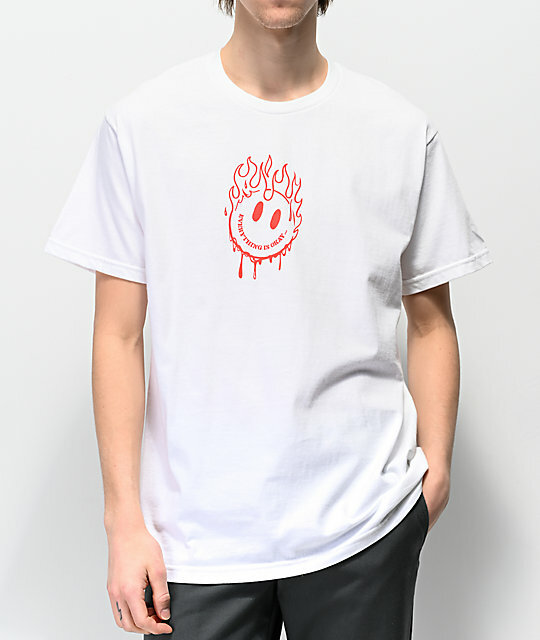 Bring lighthearted fun to the forefront of your looks with the A-lab Everything Is Okay White T-Shirt. 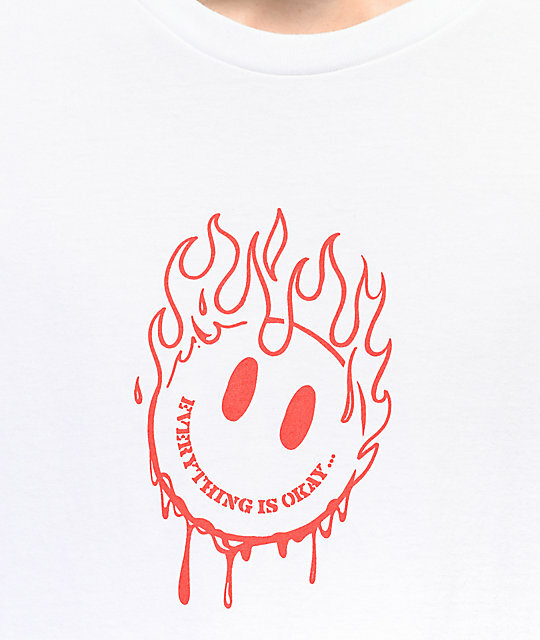 Made from a classic cotton construction, this white garment features matching screen-printed graphics on the chest and back of a tongue-and-cheek image of a circled face on fire with the text "Everything Is Okay. 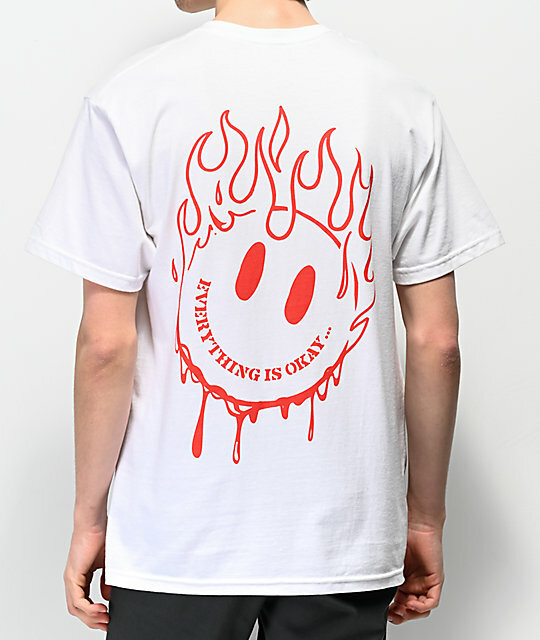 . ."
Everything Is Okay White T-Shirt from A-Lab. Matching screen-printed graphics on chest and back.